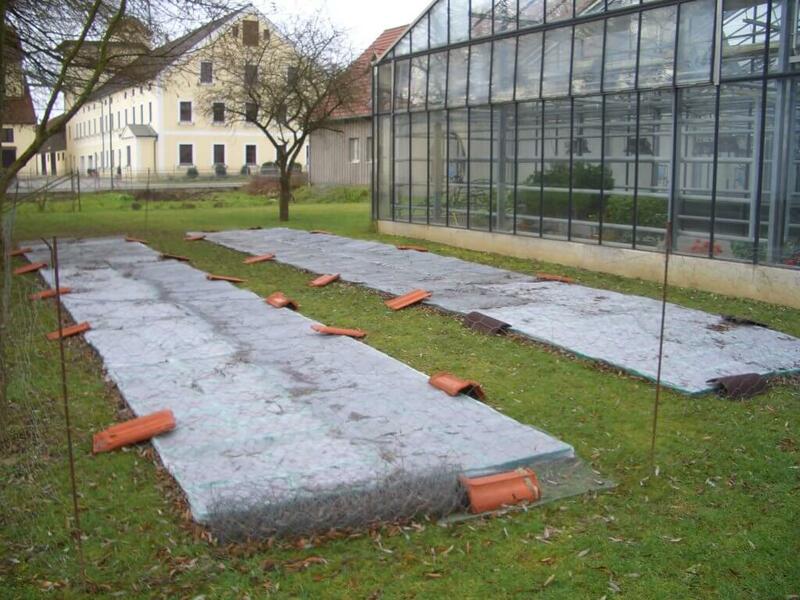 Seedlings need the cold to germ in the spring. 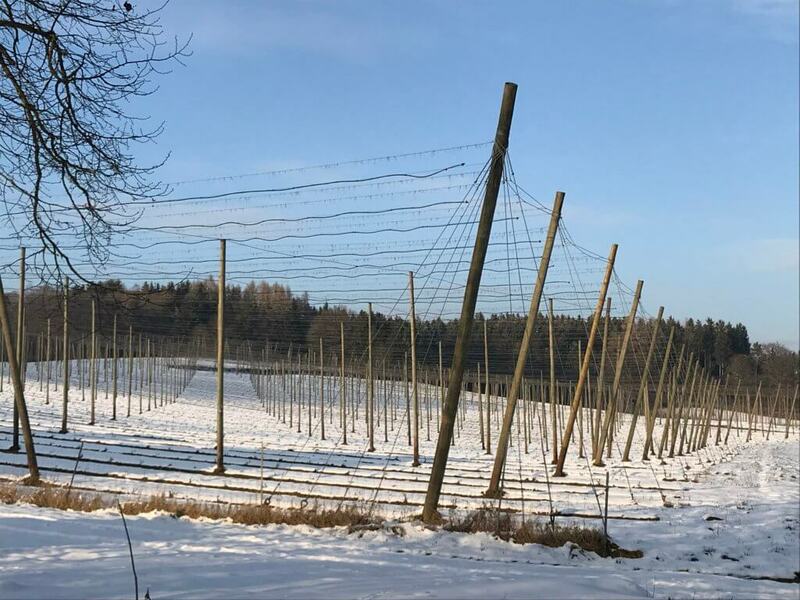 Hop pruning in the experimental hop yard. 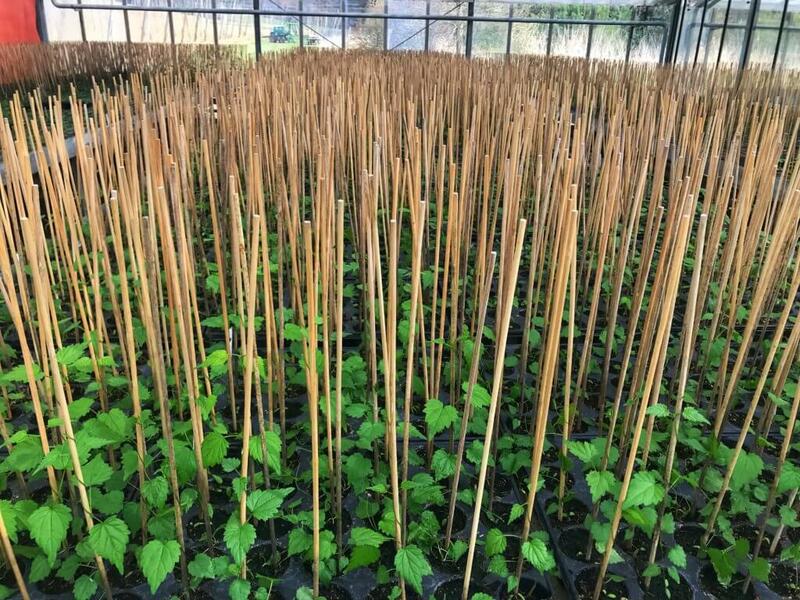 The new seedlings are checked for mildew. 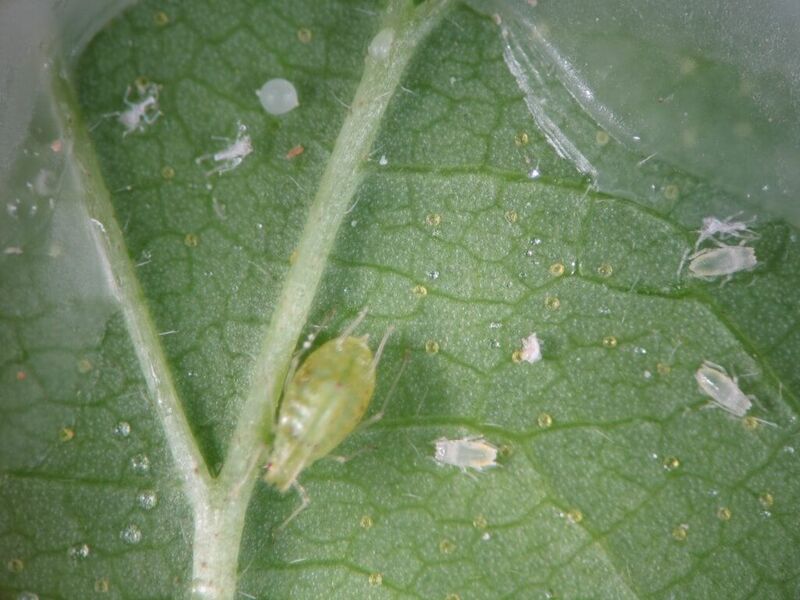 Hop plants that are infected with mildew are brought to healthy seedlings in the greenhouse. 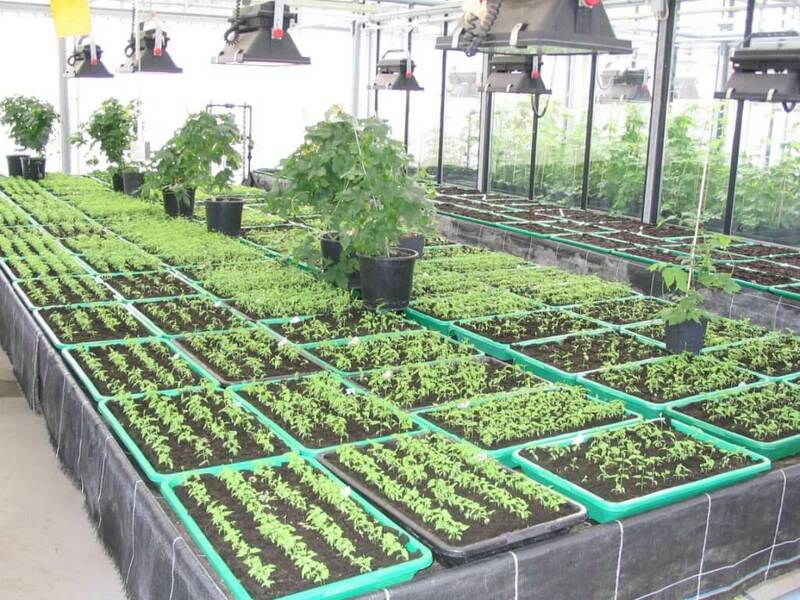 Seedlings that, as a result, get infected with mildew are sorted out. The remaining plants stay in the race to become a new breeding line. Hops Needs to bee trained to grow upwards. 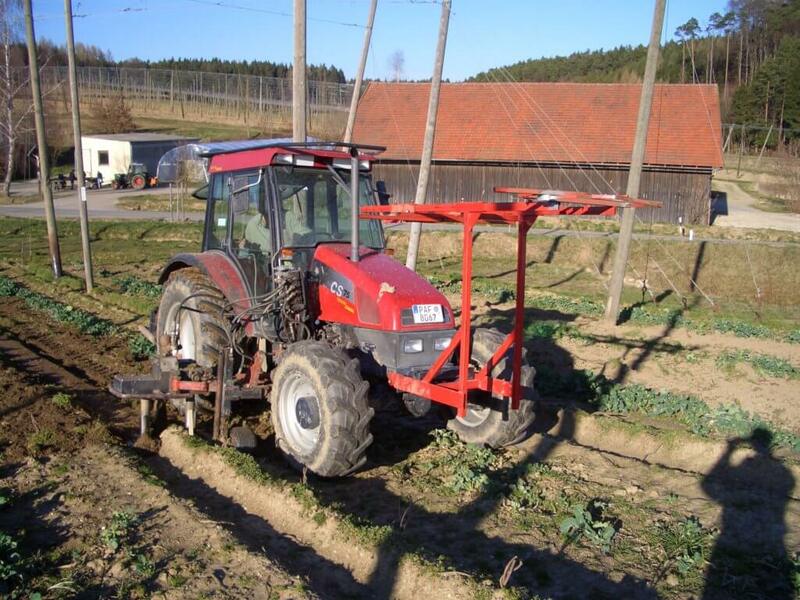 For this purpose, every single plant is winded around a wire by Hand – a really strenuous work! 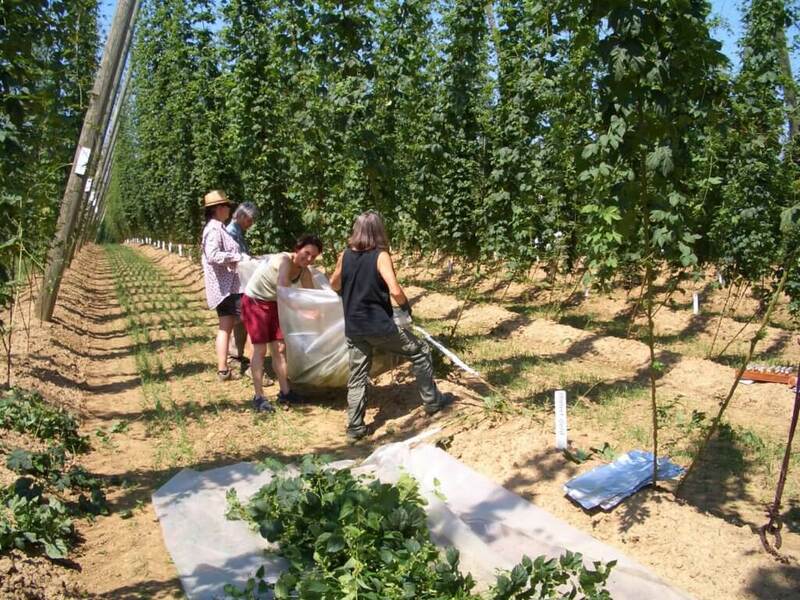 All over the year, hop plants are controlled for insects. A hop vine is systematically pollinated with pollen of a male hop plant. In order not to transfer the pollen to other female plants, the experts use a foil. 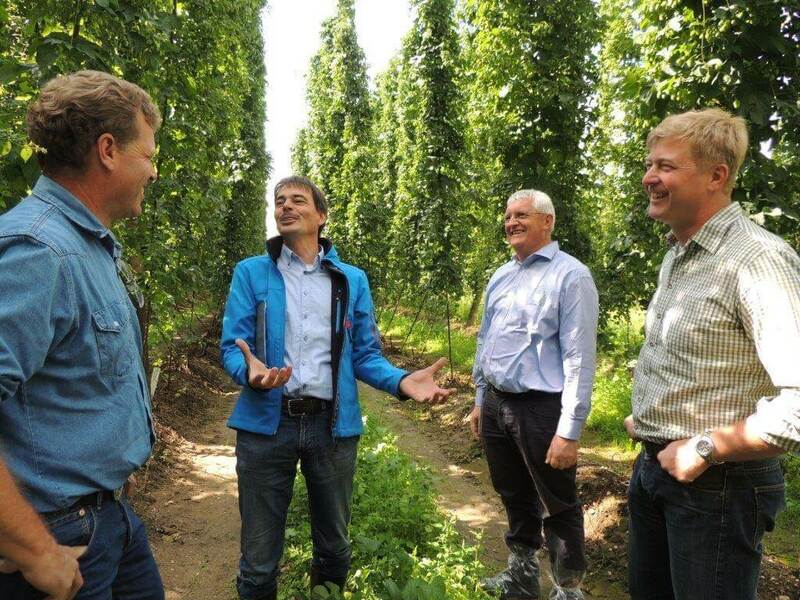 Shortly before harvest, interessted brewers have the opportunity, to experience the essential part of their daily work and to get the latest information about Hüller breeding lines. Harvest! 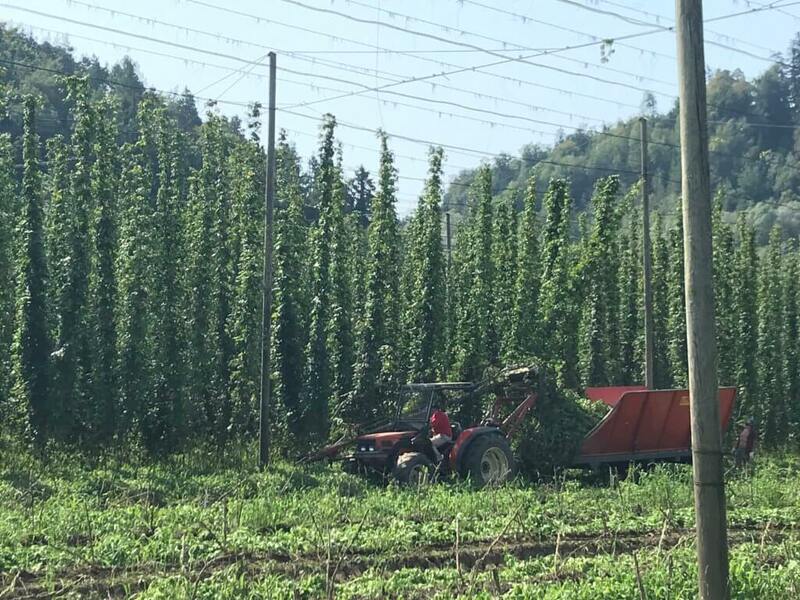 Hops aroma is in the air! 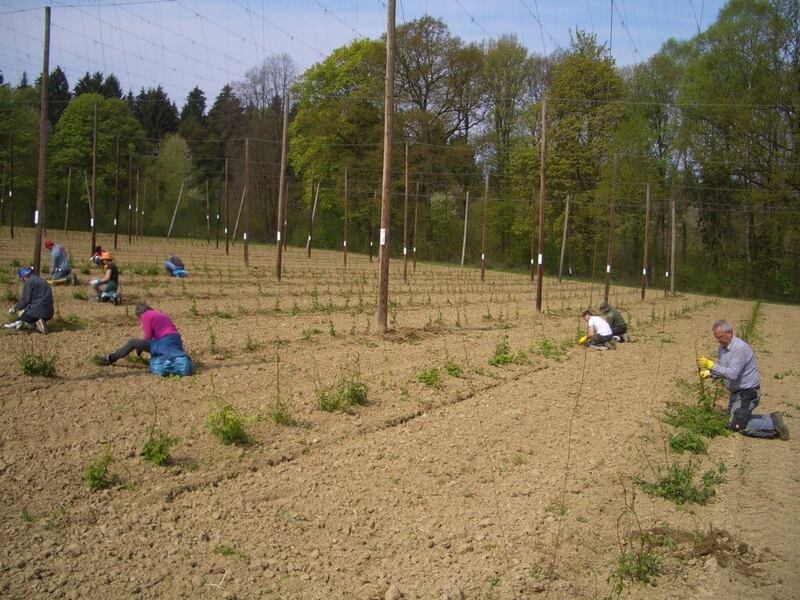 Seedlings are planted in the experimental hop yard. 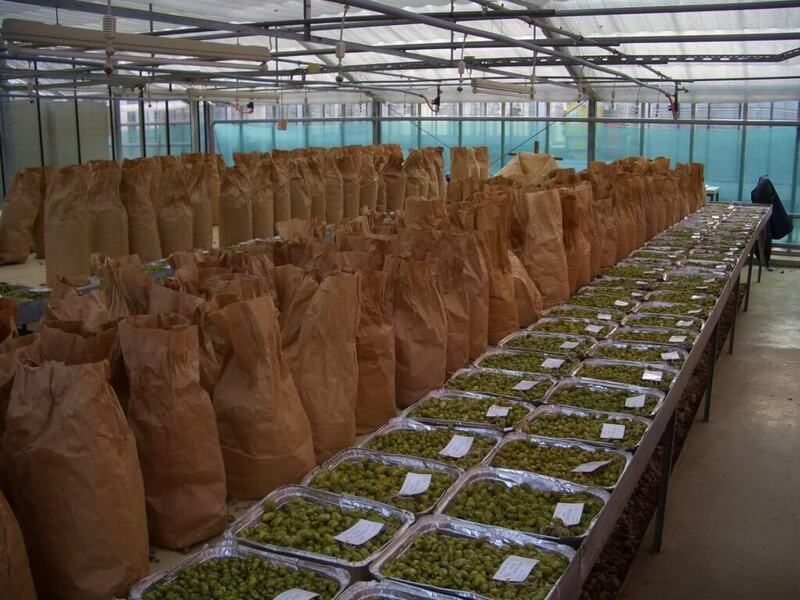 Our experts evaluate the strains professionally and qualitatively. 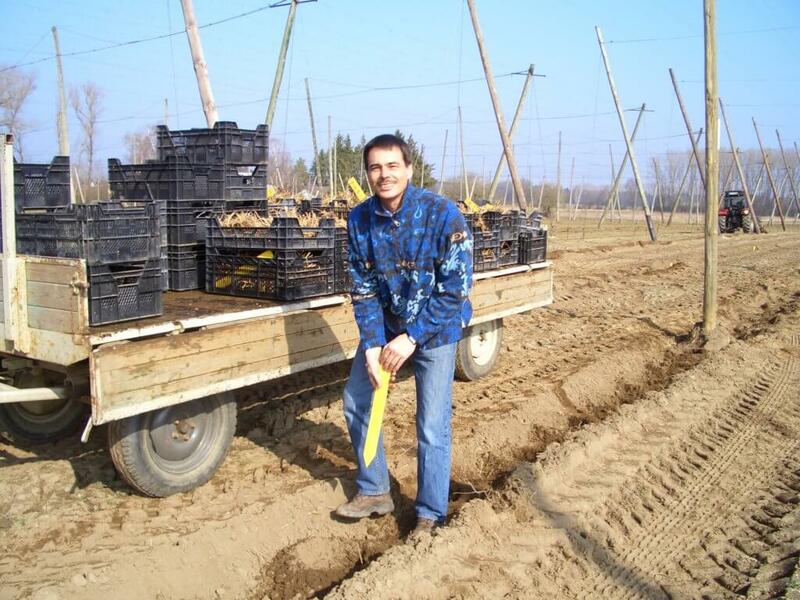 In trays and covered by a folie, the young hop plants overwinter on the outside.